Alberta Farm Animal Care Association (AFAC) was started in 1993 by Alberta livestock producers. Throughout the past 20 plus years AFAC has developed into the collective voice of the livestock industry on matters of livestock welfare. AFAC has provided a coordinated approach for all areas of livestock production to work together to advance and promote responsible livestock care. The Alberta Equestrian Federation (AEF) is represented on the AFAC board for equine in Alberta. Proper handling of livestock in our care is a moral, social, ethical responsibility. Sound livestock welfare practices and healthy livestock may contribute significantly to improved production and industry sustainability. Strong cooperative partnerships with industry in extension, research, legislative developments and enforcements are essential. As a diverse livestock industry organization, AFAC provides a collective voice and member groups are responsible to deliver industry specific programs on their own behalf. For more information on AFAC, please visit their site. 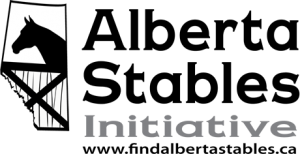 The Horse Welfare Alliance of Canada (HWAC) is an alliance of Canadian equine organizations, farm animal care groups and other segments of the animal agriculture industry. HWAC was formed in 2008 as a response to concerns related to the humane care and handling of horses. Advocates wherever the interests of the horse, horse people and industry will be positively affected. HWAC is dedicated to bring together associations which endorse responsible use and care of horses during their lifetime and at their death to ensure that a high standard of health and welfare of the horse is maintained throughout their life regardless of whether a horse is purpose bred for performance or food. HWAC will strive to provide a strong unified voice across Canada in support of values and ethics related to horse ownership, use and the industry in total. HWAC and partners have been involved in the following industry initiatives: reports on horse welfare across Canada, the development and promotion of the Codes of Practice for the care and handling of horses, unfit animal guidelines, a fact sheet on horse processing and animal welfare, biosecurity information and updates on transport regulations and the promotion of resources such as body condition scoring. HWAC has identified contractors and clinicians to offer courses on emergency response, horse handling and transport. HWAC assembled a team of high profile specialists to create the Recommended Handling Guidelines and Animal Welfare Assessment Tool for horses destined for processing (an audit process). This project has attracted positive attention globally. HWAC consults and participates as a stakeholder with various divisions of the Ministry of Agriculture, Alberta Farm Animal Care, Alberta Veterinary Medical Association, Alberta Equine Welfare Group, SPCA, and with other livestock organizations. Visit the Horse Welfare Alliance of Canada’s website by clicking here or view their brochure here. HWAC report on: Final Horse Processing and Animal Welfare. What is the Alberta Equestrian Federation’s position on the Processing of Horses? The Alberta Equestrian Federation (AEF) advocates for humane treatment of all horses and believes that the equine industry and horse owners have a responsibility to provide humane care throughout the life of the horse. The AEF recognizes that processing of horses is part of the equine industry in the Province of Alberta. It should be noted that this does not in anyway indicate the AEF supports Horse Slaughter, however, as processing is a reality in Alberta, the AEF works in conjunction with other organizations to ensure that standards of practice are being met and horses are treated in a humane way and with dignity. The AEF encourages, fosters and provides education regarding responsible ownership and management that will reduce the number of unwanted horses. 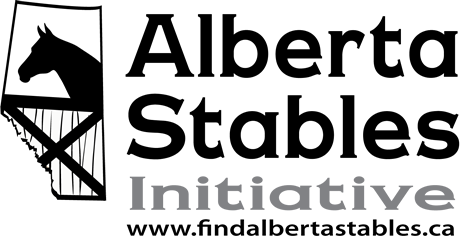 The Alberta Stables Initiative was created as an independent initiative under the direction of the Horse Industry Association of Alberta (HIAA), Alberta Equestrian Federation (AEF), and Alberta Agriculture and Rural Development (AARD), with the goal of becoming a self-supporting service for stables. To strengthen Alberta’s stables by promoting safety, animal welfare and sound business practices as well as providing support, education and marketing opportunities for the stable industry.